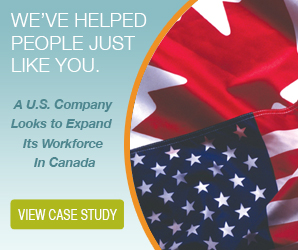 You want your workforce expansion into Canada to be seamless. But the administrative and foreign employment compliance requirements can be daunting to deal with when you’re unfamiliar with the laws. Performed incorrectly, these important tasks can lead to legal and financial ramifications because of the simplest and most innocent errors, which can significantly affect your expansion progress. In order to safeguard against potential liabilities, many foreign firms look to payroll companies in Canada to take care of these tasks. If you’re considering hiring such an agency, here’s what you should look for. One very important thing to ask when speaking with a potential payroll partner in Canada is if they can act as the employer on record for your workforce. What’s the difference? A payroll processing firm will merely process what you send without questioning the taxation, calculations or looking to see if your firm is compliant with payroll tax laws. An employer of record will thoroughly review all payroll files and will ensure all taxation and employment standards are met. With a Canadian EOR service, a foreign company may even be able to avoid the complication of registering a business in Canada. By having an employer of record, the firm can still hire and utilize Canadian workers without the administrative burden and complications of doing so. The workers become the employees of the payroll company, so all of the associated responsibility is on the employer of record instead of the foreign firm. Naturally, a foreign firm won’t know the intricate taxation laws in Canada. Understanding exactly which taxes to deduct from the worker and to pay as an employer, takes knowledge and experience—and since the laws are continuously changing, it also takes due diligence to ensure you’re always up to date. Payroll companies have experts on staff that are knowledgeable about both federal and provincial taxes, so you know you’re always in compliance with your regular remittances and year-end tax reporting. Chances are you’re going to want to provide your Canadian employees with employment packages on top of their regular earnings. A payroll processer rarely has their own benefits package that you can take advantage of. An employer of record can not only offer you a package that includes health benefits and RSP’s but can administer the plan along with your payroll. Ensure your Canadian employer of record can take care of all of this for you—from providing your workers with commission, expenses, allowances and retirement savings plans to health and life benefits. Some payroll agencies will also provide you with human resources solutions. This can include onboarding new employees, employment negotiations, and ongoing employment issue support. The distance between you and your Canadian employees won’t be an issue if you go with a company that can take care of all the HR work for you. A great employer of record will take care of any Ministry of Labour or Worker’s Compensation claims and investigations. If one of your workers gets hurt on Canadian soil, the agency will work with the proper authorities to resolve the issue and ensure compliance is met so you can breathe easy knowing your Canadian workforce is as safe as they can be. 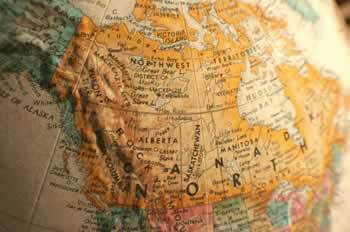 Don’t let complicated employment and payroll rules and regulations keep you from expanding your workforce into Canada. Engaging the proper payroll partner to take care of your administrative and legal tasks related to Canadian employment takes the hassle out of the equation, so your expansion efforts can continue without a hitch.